Vancouver Citizen's Voice | The price of freedom is eternal vigilance. The road to Paris #COP21 is littered with the bodies of false data sets and bad climate model projections. This latest example from my friend, Steve Goddard. Some people are now starting to wake up that in the game of politics, a label is just that… merely a label. Whether the label represents the accompanying ideology, policy direction or individual character is a matter often overlooked. Moreover, when we consider environmentalism, the disparities in question should ring alarm bells. As we shall see, contemporary environmentalism takes on an altogether different meaning behind this label. If you live in the suburbs of a large city as most Australians do, have a walk outside on a nice sunny day. You may be in a suburban park or even your backyard. Take a deep breath of air and look at the clear blue sky. Depending where you live, the chances are you will not smell even a whiff of pollution. In fact, you are more likely to smell the redolent perfume of flowers. Now, consider the vastness of our nation with suburbia occupying only mere pinpricks on the map. Consider that since industrialisation, life expectancy has been continually rising. At this moment, juxtapose the media’s hype of a toxic wasteland and environmental doomsday with your immediate perceptions of reality. You now probably realise these extremists are simply, just wrong. This is not to say we do not have environmental problems, but let us get things in proportion and deal with these problems in a rational and scientific manner. The environmental leadership no doubt has a strong public relations campaign. Naturally, political leaders strive for a strong following and in doing so, endeavour to create a charismatic, positive and constructive image. Now, who would argue against clean air and water, preserving forests and maintaining a climate providing hospitable living conditions for all? These are very noble goals. However, once we look behind this “positive” and “constructive” facade, we delve into the world of political manipulation, pseudoscience eco-terrorism and an agenda of control. To put it simply, the current brand of environmentalism is Communism through the back door. One of the main political players in the Green Movement is none other than Mikhail Gorbachev, the ex-leader of communist USSR. Now considering the USSR’s environmental record would put most communists to shame, one may wonder why we are walking down the same authoritarian path. History has already shown the failures of excessive governmental control associated with Communism and its variants of Fascism and Socialism. Does this sound like something out of a Green biocentric handbook? Just as the National Socialists of the Third Reich sought to control children’s minds, so too we are now repeating history with the Green Movement. Schoolteachers routinely condition students with false environmental theories and other so-called contemporary social values and at the same time increasing numbers of students fail to meet the basic three R’s. And we wonder, why? Environmentalism in its current form is extreme. Moreover, environmental leaders do not even bother hiding their radical views. Sadly, our mainstream media rarely takes them to task, but rather glorifies their meddling as “worthy activism.” If Australians were aware of the true Green agenda, they would be horrified. Consider Green leader and author, Jeremy Rifkin’s insane view that, “The elimination of beef and other meat from the human diet is now required if we are to have any hope of saving the planet and ensuring our children’s future.”(5) The Co-Founder of Earth First, David Foreman says, “my three main goals would be to reduce human population to about 100 million worldwide, destroy the industrial infrastructure and see wilderness with it’s full complement of species returning throughout the world.”(6) David Foreman has also been on the Sierra Club’s five member executive committee in 1995-6. (7) Prince Philip of Great Britain and Leader of the World Wildlife Fund (WWF) said, “If I were reincarnated I would wish to be returned to Earth as a killer virus to lower human population levels.”(8) Maurice Strong says, “Is it the only hope for the planet that the industrialised civilisations collapse? Isn’t it our responsibility to bring that about? (9) Maurice Strong may not be a household name, but he wields incredible power within the United Nations. Ironically, Strong made his fortune as an oil industrialist. One of the curious aspects of environmental pseudoscience lies in the stunning inconsistencies voiced. Prominent scientist and winner of the 1992 “Scientist of the Year Award“, Stephen Schneider now promotes global warming propaganda. (11) Now, the word propaganda is not used lightly here. Schneider is on record for asserting, when it comes to global warming it is “journalistically irresponsible to present both sides.” Does not this sound reminiscent of the heyday of the Soviet Union state controlled propagandists starting with the phrase, “As everyone knows…”? One of the other inconsistencies lies in the quoted number of extinct species. According to Green groups, there is no exact number; one source quotes 165,000 a year, another 500,000 by the year 2000. Another researcher indicates that the United States has recorded only seven species, perhaps 13 in total that might have gone extinct since 1973. (13) The prominent environmentalist, Dr. Helen Caldicott cannot even present a consistency within her book, “If you love this planet: a plan to heal the earth“. The front jacket claims, “20 to 200 species become extinct each day in tropical forests“, and then on page 96, Caldicott claims, “Of the 30 million species estimated to be extant today, we may now be losing 17,500 each year.”(14) Simple division identifies this yearly rate to be about 48 species a day. Moreover, this is a total “extinction rate” &ndash; not just extinctions from tropical forests. One would assume the 5 in the 17,500 was intended to be a significant figure and if so let us take the least accurate case scenario: an estimate to the nearest 500 species. For this case, the daily extinction range in round figures would be 47 – 49. Now, if the total daily extinction rate were about 47 &ndash; 49, why would the tropical forest daily extinction rate be quoted as 20 &ndash; 200 species? Australia’s greatest environmental threat is soil erosion and salinity. However when former Labor MP Graeme Campbell approached the Greens from the Labor party’s left wing, they replied: “No one ever goes out to look at salinity on the week-end. Go with the trees, that is where the power is.”(16) The Green Movement is not about the environment; it is about power. This power propagates throughout the Green Movement, raising its ugly face treating decent citizens as criminals. In 1991, John Pozsgai purchased a fourteen-acre tract of land in the USA that had been used as a dump for twenty years. Pozsgai commenced a clean-up of 7,000 old tires along with an assortment of rusting car parts. He then intended to lay down some clean dirt and gravel. The property is not a marsh, swamp, or bog, and state officials informed Pozsgai he needed no permit. However, since a mostly dry streambed was adjacent to the clean-up in progress, and since skunk cabbage and sweet gum trees were present, Pozsgai’s land fell under the 1989 wetlands jurisdiction definition. The EPA obtained a restraining order to prevent the deposit of the fill. Pozsgai obliged, but due to poor communications, the contractors still dumped the fill while the EPA secretly videotaped the working contractors. Now bankrupt, Pozsgai was fined $202,000 and sentenced to three years in prison. The court also ordered him to restore the land not to the previous dump, but to a pristine condition. The prosecuting attorney said, “A message must be sent to all landowners, the corporations [and] the developers of this country that light sentences for environmental crimes are a thing of the past.”(17) Any rational person would call Pozsgai’s sentence a gross travesty of justice. However, sadly his case is by no means unique. Numerous cases of absurd penalties including jailing are now increasingly passing through the courts. In many cases, no objective environmental damage occurred. The whole illogicality of eco-Fascism arises in its failure to provide practical solutions to environmental problems. It also fails to recognise that economic growth and expanding technologies render sustainability theory to just that: a theory carrying little weight considering we are living in a dynamic and chaotic universe. If we were to have introduced a copper tax upon the onset of the electronics revolution, the rapid technological growth in computers and optical fibres would no doubt have been attenuated. The New Scientist publication reflects this reality in the latest predictions of greenhouse gas emissions on the 18th September 1999. The quoted scientists claim carbon dioxide emissions in 2100 may be five times greater than today’s emissions or even slightly lower than today’s emissions. They say, “Technology is at least as important a driving force of future greenhouse gas emissions as population and economic development.”(19) Since economic development or growth fuels technological growth, Green calls for an array of tight regulations and taxes will only hamper genuine environmental protection. Environmental regulations should be in place where science shows certain and significant harm will arise &ndash; not because an event just might happen. However, what would we expect from twisted minds with the mentality to tree-spike, boat-scuttle and create a public nuisance of themselves as would a two year old dummy-spitter. Tragically, if these eco-Fascists have their way, civilisation and ironically the environment too will undergo immense degradation. 1:Article in The Telegraph online. Shock! Horror! The Earth has warmed since the end of the Little Ice Age (modulated by the approximate 60 year cycle of the PDO and AMO). What an amazing discovery – like we didn’t know, or something. It just isn’t quite as much as the propagandists shroud-wave about because of the fiddling while the Earth didn’t burn that Climategate revealed. However, there is no real (empirical) evidence whatsoever that changes to the concentration of atmospheric CO2 had any effect on the climate, now or ever. The science was never done. Furthermore, every prediction made by the global warming industry has not come to pass. They are completely discredited and their hypothesis was blown years ago when the predicted tropospheric heating failed to materialise. In recent times the PDO and AMO led to the cooling that spawned the ice-age scares of the 1970s, following by the warming that peaked in the 1990s, precisely on time and as predicted. That last warming increase was exploited by anti-west UN activists to create a warming scare based on faked-up cod science, that blamed it on increasing CO2 for no real reason at all. The CAGW propagandists now appear to be desperately playing for time, hoping to keep the funding flowing until the 2020s when they hope the cycle will reverse again and they can once more wind up the scare – provided the cooling actually stops, which is a moot point. So far the ploy is working (only in the EU) thanks to our criminally negligent politicians. However, there is an additional factor, which is that the sun’s magnetic field has bottomed out in what could be a repeat of the Maunder Minimum that is associated with the Little Ice Age. If so then if Professor Svensmark’s hypothesis (google it) is correct, we are in for a very chilly 21st century once the oceans cool down. The non-appearance of the predicted Armageddon and the present inexorable non-upward temperature trend is now undeniable. The IPCC has conclusively demonstrated that writing funny computer programs has no effect on the climate. They have no more shots in the locker except more of the same old misrepresentation. Those folks still peddling the myth should be arrested. Measures to mitigate carbon emissions were therefore always irrelevant and should be dropped forthwith. There is no need to close down thermal power stations on carbon saving grounds, or to continue to maintain the falsehoods that ‘renewable’ sources contain enough energy that we can extract to maintain a western civilisation, and that those sources are viable without a massive hidden subsidy. In reality the whole energy saving farrago is underpinned by climate change political propaganda driven by a handful of anti-west individuals in the UN. Just about every bunch of down-with-everything nut-cases climbed onto the CO2 band wagon, which, along with governmental greed for more bureaucratic power and for carbon taxes, created a societal monster. But it is all based on false distortions of smoke-and-mirrors cod science – ie, cleverly concealed fraud. The scandal that the scam is still on-going is down to political momentum, for which our politicians are culpable. 2: I saved this without documenting what it was responding to, but it pretty well speaks for itself. I’ve seen far more unpleasantness from the left wing greens than I’ve ever seen from conservative who oppose them, but it’s important to look at what is really happening. Those of us who work for a living and enjoy a nice quality of life have no wish to argue with anyone. The UN and their sycophants in the Democratic Party in the US want to take our money, restrict our ability to travel, and damage our economy. They’ll do this while pretending to possess the moral high ground, while their leadership lives in lavish homes and travels by private jet. I’m supposed to let Al Gore, Darryl Hannah, Alec Baldwin and George Soros (and David Suzuki) tell me to use less fossil fuel? They threaten my employment, my family and my country from their Ivory Towers. That, in itself, far exceeds any verbal unpleasantness I might direct their way, but it’s much worse than that. They label me “anti-science” because I insist on empirical evidence, a “denier” because I see confirmation bias in their post hoc analysis, and a “planet killer” because I am competent and productive. It would be impossible to find a way to transport 20,000 of my fellow skeptics to Denmark or the South Pacific because there is no funding for such a venture, but every year that number of climate activists, politicians, journalists and their pet scientists find a way to travel together to far flung corners of the globe. While there they conspire to transfer my wealth to my government and then have it sent to third-world countries that are openly hostile to my way of life. They accuse me of being a shill of oil companies, while the truth is that I’m not even a stockholder and certainly not paid to promote them. If I were, I’d be a lot more likely to visit some of the places that climate activists seem to enjoy. These are a couple of the best I’ve run into recently, their eloquence and impact are undeniable. I’ll add more as I come across them. Cheers for now and remember-the price of freedom is eternal vigilance. PS:Here’s some extra reading for you eager beavers. Further to Glenda Luymes fantasy piece on sea level rise in the Vancouver Province, on Sunday August 25, 2013. I drilled down a little bit, and discovered that the study she referenced was lead-authored by a fellow named Stephane Hallegatte. It turns out that Mr. Hallegatte works for the World Bank, as well as the French Centre International de Recherche sur l’Environnement et le Développement (CIRED). He also was a contributing author to the United Nations Intergovernmental Panel on Climate Change’s (IPCC) Fourth Assessment Report Climate Change 2007 (AR4), Chapter 2- “New Assesment Methods and the Characterisation of Future Conditions”. If you doubt that their intention is control-read section 2.5 “Key conclusions and future directions”. A little lip service to “uncertainty’, most of it deals with how various levels of governmental institutions and administration(s) and populations can be manipulated to bring them into line. “Thanks for your email. As you know, climatologist (sic) use 30-yr data (sets) to calculate trends and a 9-yr trend should not be used to extrapolate over the long-term. The current pace of ice loss has no reason to remain unchanged in the near future. So current observations are not in contradiction with long-term projections. But one unquestionable point is that our understanding of ice dynamics in response to long-term temperature increase is very limited and there is a large uncertainty on future sea level rise. In our study, we used projections from the literature, picking a more optimistic and a more pessimistic scenarios (sic). But the future may be under or above these two scenarios. Net ice loss has been minimal -Antarctic ice has accreted similarly as there have been losses in the north. Given the fifteen year plus leveling in global average surface temperatures, one would not expect that (losses in the north) to continue much longer (I was unaware at the time of this correspondence that the northern ice cap had increased by 60% this season), and whether warming has ended or will resume again is still an unknown. Which renders the study an interesting econometric exercise, but of not much use in long-term planning and investment. Which you kind of say in your reply. Would you agree that constant monitoring of and adaptation to changing local conditions is the optimal solution? Thanks. Well, have mercy on me, he reacted like I hit him upside the head with a brick! Given that Mr. Hallegatte is a high-paid, high-powered bureaucrat based in the center of power in the world, Washington DC, I still must say that his response to me seems illogical and self-contradictory. But hey, you be the judge. “I did not say it is not useful, since constant monitoring and adaptation are inappropriate (and dangerous) when long-term investments are needed (which is the case in cities). But this type of study should inform decision-making through a process that takes the uncertainty into account. I would not say that we do not know whether the increase in global temperature will resume. The current slow-down in temperature increase is nothing surprising considering the natural variability… it does not change anything about the theory and long-term projection (sic) we can make. Stephane” I’ll let my response speak for itself. Vancouver Province’s Sea Level Rise Fairy Tale. A journalist I’ve never heard of before, one Glenda Luymes, has written an article featured on the front page of the Province on Sunday August 25th, 2013. Dealing with the potential economic costs of projected sea level rise, it is rife with unchallenged assumptions, inaccurate information and is so far removed from the facts and science of today that it would be better categorized as a fairy tale than a news article. In the article she references a study co-authoured by one Stephane Hallegatte-a senior economist at the World Bank. The other contributors are two engineers and another economist. Nary a climate scientist to be found. It’s just sort of thrown out there “that, without adaptation, total annual losses from flooding could top $1 trillion by 2100.” She makes no mention that the $1 trillion dollar figure she so blithely reports is seen as highly unlikely even by the authors of the study, with the figure increasing from the current $25 billion to ~$60 billion dollars as more likely-assuming accelerating building up of shorelines,nominal increases in property values-inflation in other words-combined with increases in sea level that are highly unlikely to occur given the current rate of change. Unfazed by this, she goes on to interview a geologist from SFU, a dairy farmer from Surrey, and some bureaucrats from areas potentially affected. “Yup, looks pretty bad” they all more or less say. Yup, I guess so, if what she writes was true-that “Local research suggests that as glaciers melt and the oceans warm, B.C. coastal waters could rise one metre over the next century” No reference to whose research it is, or what data it’s based on. Just must be so, because it’s right there, in black and white. Inconveniently, there is not a scintilla of scientific evidence that sea level rise is accelerating, or will accelerate in the near or distant future above it’s current increase of approximately seven inches per century. You read that right-per century! She makes no mention of the fact that there has been no global warming for over fifteen years. It’s Grimm’s Fairy Tales, Mother Gooses’ Nursery Rhymes., journalism at it’s lowest point-staff pared to near nothing, no budget for real writers and research, what couldn’t pass muster as a high school essay stains a once fine newspaper’s front page. The most cogent part of Mr Helmer’s common sense analysis of the disaster area known as the European Union is use of the well known aphorism that those not informed by history are doomed to repeat it. The European Union is the spearhead of globalism that has as much chance of succeeding as the Tower of Babel before it. The unfortunate result of the fanatical adherence to an impossible Utopian vision is the suffering we are already seeing in wars aimed at homogenizing the world’s regions, with worse still no doubt to come. Last night I attended an event in Brussels sponsored by Volvo — and was disappointed to be reminded that Volvo sold their cars division to Ford ten years ago, and are now a truck business. 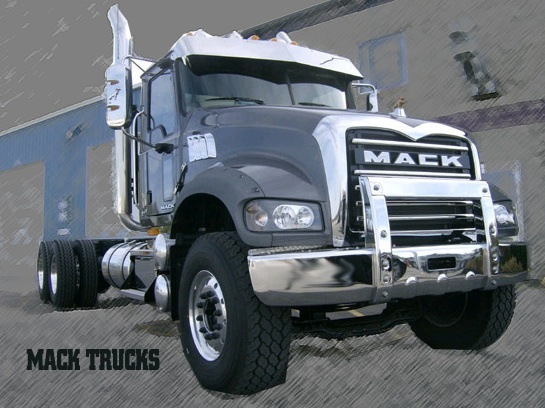 Indeed they claim to be the world’s second largest truck business, having absorbed France’s Renault trucks, the USA’s Mack trucks and some other businesses. I recalled that Ford had bought both Volvo and Jaguar cars at about the same time and — let’s be honest — made a bit of a pig’s ear of them. Ford’s ambition was to create a luxury cars division along the lines of Toyota’s Lexus. So it didn’t help when they tarted up a Cortina and called it a Jaguar X-Type. It never caught on. Ford gave up, and sold Jaguar to India’s Tata (who are doing a fantastic job with it), and Volvo cars to Chinese car-maker Geely.